1) E-mail me at mrstamey@gmail.com. Put "Mixing" in the subject line. Tell me, in general terms, how you recorded the music, what type of recording gear you used, and what kind of mixing you think it needs. 2) I'll write back and, if appropriate, tell you how to either a) ftp rough mixes to me in mp3 form or b) mail me a DVD-R of the individual tracks of one of the songs. 3) I'll listen to the music and then give you an idea of what the cost might be. Typically, a mix of a fully produced song will take 4-6 hours, including an hour of revisions. I have a discount "indie" mixing rate (for musicians who are not on a label), the cost is usually $250-$300 per song. I ask that you do some premixing prep work and cleanup, and this will help keep the cost down. Sometimes I'm able to give you a project rate for mixing a whole record. 4) Next, you have to get the multitrack recording to me. You can send me audio files on DVD-R disks, or on a Firewire or USB-2 hard drive. (Please be sure to back up the files first.) I'll also need a deposit of half the estimate at this point. 6) I'll review your comments and send you a second-draft round of revised mp3s. You send me a list of further tweaks if need be. 8) When we're done, upon receipt of the balance due, I'll send you a set of final DVD-R disks with high-resolution (NOT mp3) mixes, ready for mastering. These will sometimes include a vocal-up or vocal-down alternate version (to give the mastering engineer some options) plus other variations as needed. 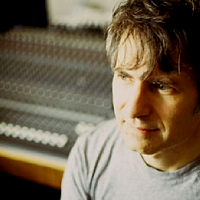 "AD: Chris Stamey actually mixed the new album, correct? BC: We were mixing and doing all these things ourselves. We spent probably 40 or 50 hours a week on top of full-time jobs doing all this. And it got to the point where we spent 96 hours in 9 days trying to finish this album. And Ivan [Howard] and Logan from Roman Candle, who were also on this Rosebuds tour, told us ‘You guys should really call Chris Stamey and get him to listen to things.’ And we decided we needed a break, so we sent it to Chris and we got one of the songs back it was like night and day. You know, if I’d thought we were turning our mixed album into the label about 90% done, when we heard what Chris did, it made it seem like 40%. What I think is so remarkable is I think this album is really different from stuff he’s done, but his honoring our vision is something that is so unspoken and beautiful. We’ve never done that before - handed our music to someone and been like ‘how do you hear it?’ And the weirdest part was that we get it back and he hears it exactly like we do--only . . . better. JW: And he’s adding stuff or doing stuff that we never would’ve thought to do or even been bold enough to do. We would’ve been scared to try. BC: He’ll pull an instrument out or take one down that we didn’t expect. We gave him the raw tracks - so this one track was banjo-centered and all that. He ends up pulling out the acoustic guitar part and it was such a background part, but when we listen to it, it makes total sense. It’s like, everything he did, why didn’t we think of that? It’s so obvious. It blew our minds. BC: So this is very exciting - this is the most professional thing we’ve done as a band. Hire someone who has a career and credibility doing something to help us out. I think it took us from a point of being burned out to feeling revitalized. We spent a lot of time making this record. We felt the last album was really searching and reactionary and all these process that established where we were going to go. . . . [I]t felt like this has been an awesome finish to a great growth spurt for our band." "Stamey's eye for clarity ensures that even the most musician-cluttered arrangements feel open, suiting the song's moods. A great album, where the powerful songwriting shines through." — Tape Op review, Alejandro Escovedo, "A Man Under the Influence"
". . . Providing a varied backdrop to Cary's lilting alto, producer Chris Stamey goes from lush to spare, using everything from a horn section to a harmonium to wondrous effect." — Rolling Stone review, Caitlin Cary "While You Weren't Looking"